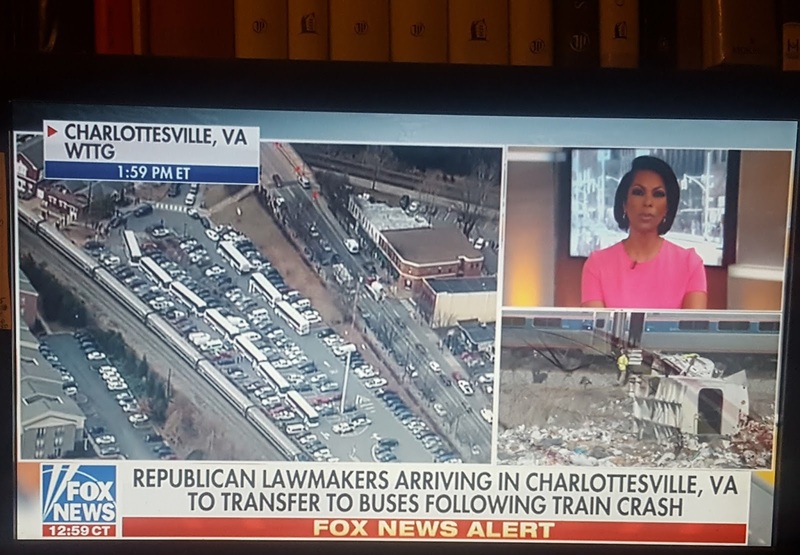 A dump truck sat on the tracks in Virginia as a train full of Republican Congressmen heading to a policy retreat in West Virginia came barreling down the tracks. The train slammed into the truck, ultimately killing the driver, and dislodging the front of the locomotive from the tracks, and injuring a number of the lawmakers. The train was eventually returned to its previous station. The injured are being sent to the medical facilities they need to be, after members of Congress with medical training performed CPR on a number of the injured. The Amtrak crash is being investigated as, thankfully, most of the injuries were minor - many of them concussions. The trip will be continued, the retreat will go on, and Trump is planning on speaking at the event. 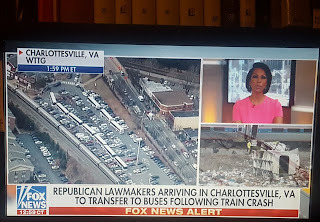 About 25 emergency vehicles responded, according to Representative Peter Sessions (R-TX 32nd District), after the abrupt stoppage of the train being called a "tragic accident" by members of the press. This "accident" occurred a day after Trump's State of the Union Speech, three months after a left-leaning gunman opened fire on a right-leaning country concert in Las Vegas, and seven months after a gunman opened fire on members of the GOP at a congressional baseball practice. The news media is blaming the infrastructure and rash of railroad crossing accidents that have emerged over the last few decades. I apologize for politicizing this incident, but we have been shown time and time again that the liberal left's anger has evolved to the point of violent lashing out. While I don't believe all people who believe themselves to be "Democrat" are violent and capable of murderous violence, the squeaky wheels of the liberal left have shown time and time again that they are ... be it riots, Black Lives Matter, Antifa, La Raza, or individuals trying to hurt people who disagree with them politically such as the aforementioned gunmen. The hate Trump narrative has been so fierce, of course there are those acting out against the GOP, and doing what they can to return the Democrats to power, even it it requires violence, terrorism, and murder. 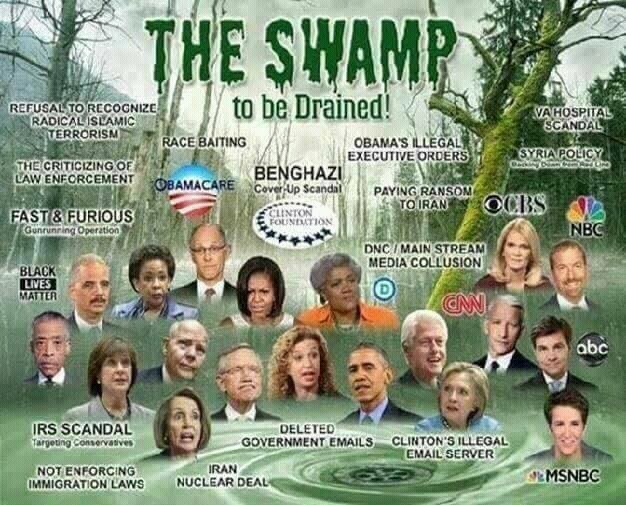 These people have been falsely convinced that the Trump administration and the Republican Party is some kind of reincarnation of Hitler's Nazism, or that the racism of the GOP is fueling a desire for blacks to be put back in chains as was the case during the slave era (which, interestingly enough, was defended by the Democrats of that period) and Mexicans and Muslims are going to be treated like the Jews were by the Nazis (rounded up and put into camps). It's all poppycock, of course, but these people who believe this kind of thing have gotten to the point where they believe they are at a moment in history where the Germans were during the 1930s. What would have happened if the German people had risen up, stopped the Nazis, and killed all of them and their accomplices before they could accomplish what they did during World War II? That is a moment in history many of the members of the liberal left believe they are in today ... here in America. Is there any evidence, at this point, that the driver of the truck on the railroad tracks did it purposely? We may never know. Perhaps it stalled on the tracks. Perhaps he had a medical emergency that caused him to be unable to proceed off of the tracks. Or, perhaps, just perhaps, he was an angry liberal lashing out at the Republican Party and his last act on Earth was one of violence against the Republican Party he hated so much. I hope I am wrong, because I really do wish people have the best of intentions ... but when it comes to the violent liberal left, it's not a surprise when the truth is otherwise. President Trump continues to evolve, learn, and become a better president. 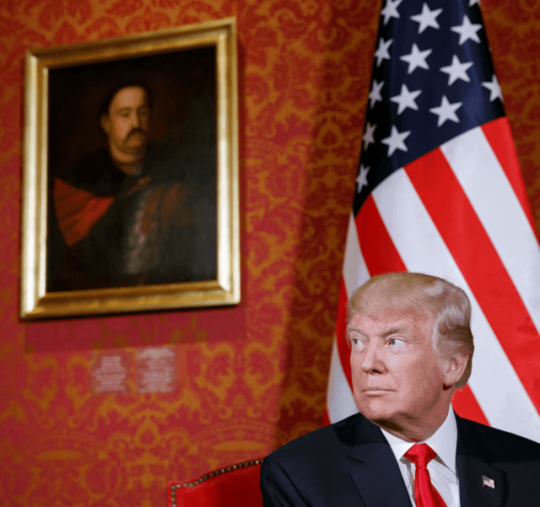 While his business acumen has made him fierce and effective, he has also been learning that Americans also expect a more "heart" guided leader, as well. He's a quick study. While preparing, Trump stated, "When you're a businessperson, you don't have to worry about your heart, the heart. You really do what's best for you — you know, for almost purely monetary reasons." Trump campaigned largely on his experience as a businessman, but now, as he has to take into consideration other factors than merely the facts, has become more than a mere businessman. We have watched him become an incredible President of the United States. "I'm telling you, the immigration is so easy to solve if it was purely a business matter, but it's not. And I think that's something that I've learned maybe more than anything else. You have to govern with all of the instincts of a businessperson, but you have to add much more heart and soul into your decisions than you would ever have even thought of before," Trump said. Now, I hope that doesn't necessarily mean he's willing to concede to the calls for amnesty, but I do believe he has realized that it's not just a black and white issue. I also believe he's not caving on immigration, he's doing what Trump does, positioning to get things the way he wants them. My brother-in-law asked me after the election, "How do you reach my mom? She agrees with you on every issue, but she voted for Hillary because she was afraid Trump would deport her friends at church." One way to reach folks is to get them to understand that the divisive tactics of the Democrats hurts America, and that Republicans really do believe in unity, working together, and what is best for all Americans. 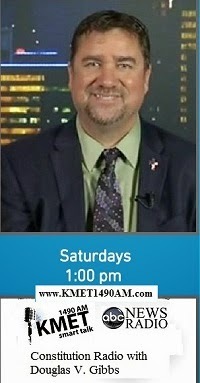 I remind my audience constantly the importance of America being a godly society. Ben Franklin said that "Only a virtuous people are capable of freedom." Trump echoed the Founding Fathers during his State of the Union Speech. Not only a nice change from the narcissistic nature of the previous president, but Trump's attention to Americans and God over himself is also very Reaganesque. Trump's talk about unity, how we need to work together to continue the good work of making American great again, left The Democrats frowning. The liberal left hates unity, thought they scream for it. They don't compromise, they don't work together. Everything is about their narrative, their agenda, and their desire for power. At one point during the speech, feeling the patriotism and love of country that President Trump was expressing, the chant of "USA" began to fill the chamber. Democrats hate America. They believe we represent oppression, while the American System actually represents hope, liberty, and prosperity for all ... when applied as originally intended. Nonetheless, the chant of "USA" left some of the Democrats in the chamber with no snowflake choice but run away, to flee from House chamber with likely disgust in their heart. The tolerant ones refuse to tolerate patriotism, and love of country. They are too busy doing as Hillary Clinton is doing (as if she is still relevant), gathering their forces to stand against America, this President, and common decency. The Democrats have been panicking over the good news of economic renewal, and when President Trump discussed the benefit that his presidency has been delivering to the black community, including a dropping black unemployment rate (the Democrats have somehow forgotten eight years of Obama's policies hurting the black community's economic conditions and increasing food stamp usage), the black members of Congress remained stone-faced. The economy is actually roaring for all Americans, and the national debt is decreasing to a GDP ratio not seen in a long time. I am guessing Reid thinks Ozzie and Harriet were racists, and patriotism is oppressive. Then again, we know she is against the concept of a republic as established by the U.S. Constitution. She recently screamed about her fears of the rural community having a voice (saying that the "rural States are a core threat to our democracy" ... note, we are a republic constitutionally designed to protect the voice of the minority - like that of the voice of the rural States). 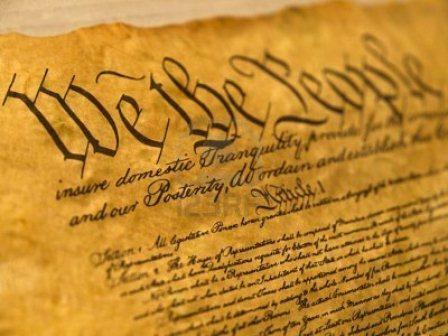 Remember, the liberal left hates the U.S. Constitution (as originally intended), and desire to throw it out! Instead, they champion dividers like Barack Obama, whose photo with Farrakhan (anti-Semitic, anti-white, anti-American supporter of terrorism and Marxism) recently emerged. While CBS admitted that 75% of viewers approved of the State of the Union Speech, their liberal left colleagues at ABC called it "Divisive... Gloomy... Sad...". Hollywood leftists also, speaking out of hate rather than any position of informed knowledge or consideration, tweeted their disapproval in force. Albert Brooks cracked, “When does he thank Russia?” CNN went so far as to stupidly claim Melania was wearing white to protest her husband. The Washington Post, facing an eruption of anger by their readers who claimed their “A call for bipartisanship” would be a headline the newspaper would regret, changed the headline to read "An American Moment." Never mind that thing about reporting the news - reporting a hard left narrative is much more important, apparently. The ACLU was upset, too, complaining that Trump used the word 'AMERICA' More Than 80 Times. Would they have been happier if he called our country the Soviet Socialist States of Progressive Stolen Mexican and Native American Land? Trump, knowing the madness was going on around him, ignored the Democrats and scorched the NFL National Anthem Protests (Days Before the Super Bowl), he praised America's heroes including military members, law enforcement, and emergency services personnel who responded in a number of natural disasters, and he called for the American family to work together to the surprise of the liberal left media, despite the fact that the unity message has been Trump's since day one. They seem to think he's divisive. I wonder what would put that notion into their heads? Could it be the uncalled for 90% of negative reporting since the day the man took office? After his powerfully effective State of the Union, can the anti-Trump #NeverTrump conservatives continue to buck against him? Can the establishment continue to be a problem for Trump? Or, is it, as Michael Goodwin wrote in the New York Post, HIS PARTY NOW? The thing is, a speech like this for those who watched can't be spun. Americans saw the real Trump, not the Trump being described to them by the fuming out-of-their-mind liberal left press (and allies). Will this send Trump's approval rating reaching skyward? By the way, the Stock Market, which after steady and continual increases since Trump's election as President had been plummeting the last few days, is on the rise again. The Trump administration indicated on Monday that it would not seek to impose new sanctions against Russian operatives for the country's alleged meddling in the 2016 U.S. election. Why did Trump not impose sanctions? I don't know what the President knows, or doesn't know, so I can't say that the administration should or shouldn't impose sanctions. Trust me, though, there's a list of things we probably feel like we should hit Russia with sanctions for ... but I am not sure that list includes election meddling. That said, not imposing the sanctions fuels the liberal left Democrats with their Russia Russia Russia narrative, because on the surface it looks like he is doing something favorable towards them. We don't know whether or not he is actually going to impose sanctions someday, for some reason, or not. 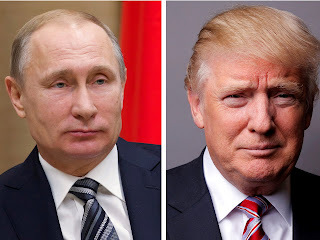 Perhaps there is a timeline that has been established by the Republicans and Trump regarding Putin that basically says we won't impose sanctions now, but if you don't behave we've got them ready. I try not to get too critical when it comes to political critters if I don't have a bountiful amount of information and facts on the matter. Constitutionally, since the President's job is National Security, Trump and the Republican Congress have every right to impose sanctions for any reason (be it election meddling, or anything else they feel they ought to impose sanctions regarding). If anything, to be honest, I'm more bothered about the fact that we send so much aid out to countries, which includes a number of countries who swear they hate us. While the federal government has the authority to enact policy regarding foreign affairs, I don't believe that our tax dollars should be spent on items like fueling our enemies with money so that they can buy weapons in the name of saving their hungry children. I suppose I have always been the kind of person who believes that charity belongs with Charities and churches, and the charity business is none of government concern - be it domestically, or abroad. Sometimes politics wants to wear us down. We fight the good fight, but we become weary. Tonight I spoke for an hour and a half to a friend of mine who is a pastor. Bishop Ron Allen commented that Psalm 112 describes me. I don't know about that. 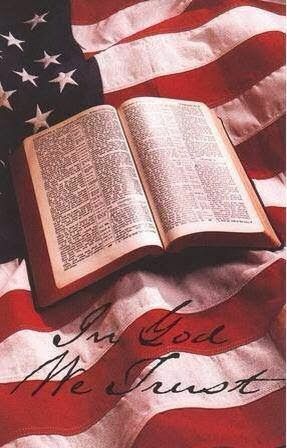 All I know is that I am a firm believer that the U.S. Constitution found much of its inspiration from God, and His Word - and I have Faith that God will deal with the country justly. . . the question is, will it be for our righteousness as a nation, or as a fallen people who have become corrupt, debauched, and vicious? We must remember that this is not only our fight. We must place it in His Hands. It is for His Glory that the war for America's soul is being waged, and His ends that the final conflicts will accomplish. The wages of sin are death. When we sin, something must die. But, when we Praise and Glorify Him, victory moves within reach of a blessed and vibrant life. And for the support of this Declaration, with a firm reliance on the protection of divine Providence, we mutually pledge to each other our Lives, our Fortunes and our sacred Honor. -- Declaration of Independence. The Democrats are suddenly States' Rights fans when it comes to the illegal alien issue, despite the fact that this time, on this issue, the federal government has authority. In other words, States' Rights doesn't apply when it comes to Sanctuary Status. Immigration is a concurrent issue, meaning that the States and the federal government both have authorities regarding the issue, but they are slightly different from each other. Article I, Section 8 authorizes federal government to establish a uniform rule of naturalization. Article I, Section 9 authorizes federal government to pass legislation to prohibit persons from migrating into the country. Article IV, Section 4 authorizes the federal government to secure the border to protect the States from unwanted encroachment. State law enforcement may take into custody illegal aliens, and communicate with federal personnel regarding the action, because the illegal aliens are federal fugitives who have escaped into State jurisdiction. States may pass immigration laws that are identical to federal law, or less severe. States may use their militia to guard against illegal encroachment into their State at the federal border with another country, and may apprehend illegal aliens once they enter State jurisdiction. To operate in County or State jurisdiction, federal officers must receive approval of the lead law enforcement agency in that jurisdiction. 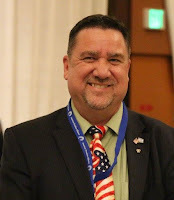 However, legislation cannot be passed by the State that denies federal involvement in issues which have been authorized to the federal government, and laws of the United States exist regarding that issue. States may not pass legislation that is contrary to the original intent of the U.S. Constitution, contrary to constitutional federal law, or contrary to any treaty. Normally, the federal government screams supremacy on every issue (thanks to judicial activism begun by John Marshall, carried by Joseph Story, and maintained largely by the progressives ever since). The judicial system has unlawfully established that "all federal law is supreme over all State or local laws", and that is simply not true. The correct statement, which is in line with Article VI's Supremacy Clause, is that "All U.S. law made in pursuance of the United States Constitution is the supreme law of the land, and no State may have laws contrary." Therefore, States may have laws contrary to federal law if the federal law is on an issue not authorized to the federal government by the U.S. Constitution (like abortion, health care). Federal Immigration Law is constitutional, as established above, however, therefore the States may not pass laws contrary to federal law on that issue. 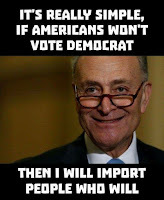 Granting voting privileges to illegal aliens. Refusal to cooperate with federal agencies. Granting the privileges and immunities to illegal aliens normally only granted to citizens. Harboring illegal aliens, and in fact could be harboring the enemy, and are in violation of U.S. Code, Sections 1324 and 1325, which addresses "concealing, harboring, or sheltering illegal aliens," as does the Immigration and Naturalization Act sections 274 and 275. Refusing to enforce immigration law places the federal government, and States that do the same, in violation of Article III, Section 3 by giving the enemy "aid and comfort" by allowing illegal entry into the United States, or "entry without inspection." Failure to enforce immigration law is against the law according to INA section 275, (8 USC Section 1324). Repeated illegal entry is a felony. Refusal to deport, or turn over to the federal government for deportation hearings, is in violation of U.S. Code › Title 8 › Chapter 12 › Subchapter II › Part IV › § 1227 which establishes the classes of deportable aliens. I am sure there are more federal laws being violated by State and city officials who are calling for a borderless America, but those are the primary, upfront, in your face, ones. Now, with all of that in place, let's take a look at recent news. According to Fox News, California Democrats are doing what they can to make sure illegal aliens have the ability to commit massive voter fraud in California by granting Drivers Licenses to illegal aliens and then either passing a new law automatically registering anyone with a Drivers License to vote, or including in the renewals registration forms for voting, regardless of who the driver is. The voter rolls in California are already a mess. The State has been sued by the Election Integrity Project and Judicial Watch. The latter has reported that at least 3.5 million more people are on U.S. election rolls than are eligible to vote. California’s San Diego County has 138% registration over the number of eligible voters in the county. Los Angeles County’s 144% reveals that California may not truly be as blue as the fraud has convinced everyone of. There are 1,736,556 voters on the rolls above the number of those eligible to vote, in the State that now embraces illegal aliens and calls itself a Sanctuary State - which means that California law enforcement has been instructed not to cooperate with federal agencies regarding the immigration issue. 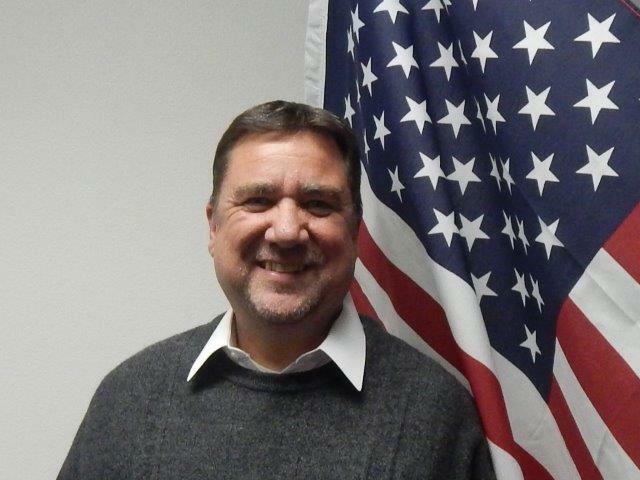 Meanwhile, back in the scheming world of Sacramento, if a signed voter registration card is sent in and the person who filled it out fails to affirm U.S. citizenship, the California Secretary of State is telling the county registrar of voters to “treat it as normal” and put it on the voter rolls - because, remember, they are in defiance-mode against the federal government. The California Secretary of State, and the Democrat legislators with their S.B. 54 law, are literally encouraging duly elected election officials to violate their oath of office and not only enable voter fraud, but they are actually encouraging it. Of course, the leftist Democrats and their allies are speaking out of the other side of their mouths, at the same time, swearing up and down that allowing illegal aliens the opportunity to vote is not what they are up to. While the Democrats call Voter ID a case of voter suppression, in truth, when it comes to the ballot box, that is the only way to really make sure that the fraud is under control. The problem is, some States are resisting the efforts to root out the fraud, and the Democrats are refusing to go with Voter ID! 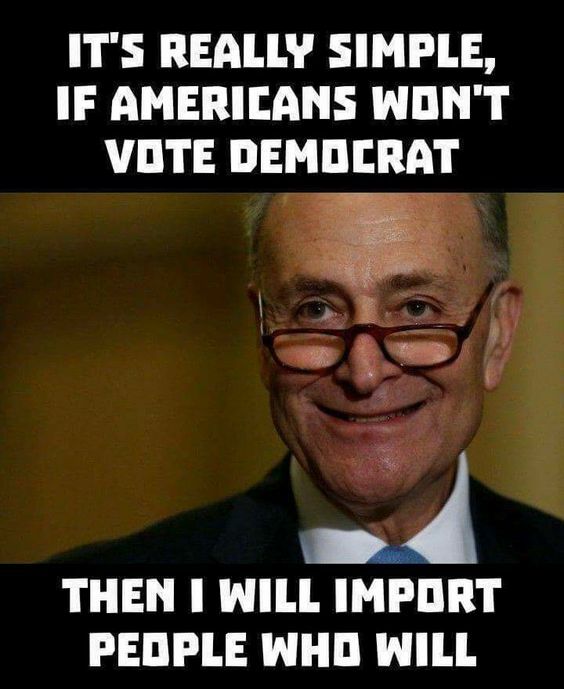 The Democrats, after all, are out for votes, because they can't win with informed Americans voting, so they have to import votes . . . so to them, illegal aliens are nothing more than undocumented Democrats. Never mind that the Constitution requires that only citizens vote in American elections (Article IV. regarding privileges and immunities, and Amendments 15, 19, 24, and 26). So, how is the Trump administration supposed to handle these renegade States? Should the Attorney General go after them for their blatant disregard for federal law and the Supremacy Clause? I always cringe when the federal government attempts to exhibit authority over the States ... but in this instance, it might be warranted. All the Democrats know is that they are getting nervous, because the supporters of their inane, unconstitutional, anti-American "no-borders" policy are getting restless, and are now even willing to beat down the doors of the Democrats. Douglas V. Gibbs upcoming February Speaking Engagements. . . In the coming month of February, 2018, Douglas V. Gibbs will be speaking at two events. 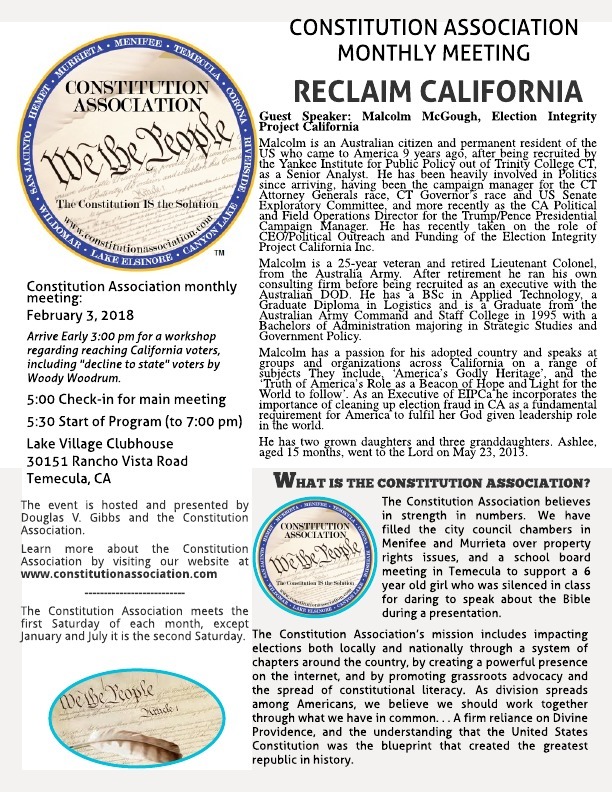 We cordially invite you to hear Douglas V. Gibbs, Founder of the Constitution Association, Author, Instructor, Radio Host and Renowned Public Speaker. Torrance Doubletree Hotel, 21333 Hawthorne Blvd., Torrance, CA. 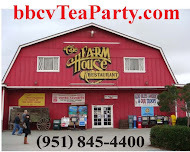 The conference will be held at 29029 Murrieta Road, Menifee, CA. Registration opens at 8:30 am. The vendor hall closes at 6 pm. Are you with a charter? You may be able to use funds to attend. If so, REGISTER HERE. Douglas V. Gibbs will be presenting "4 Keys to Understanding the Constitution" - $49 gives you a full day of speakers, and a light lunch. 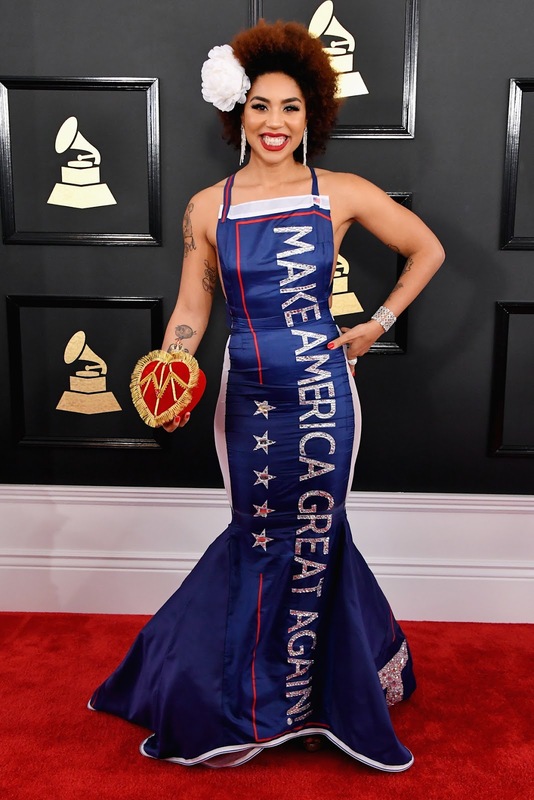 Grammys: Joy Villa Strikes Again! Last year, Joy Villa killed the Grammys with her "Make America Great Again" Dress. 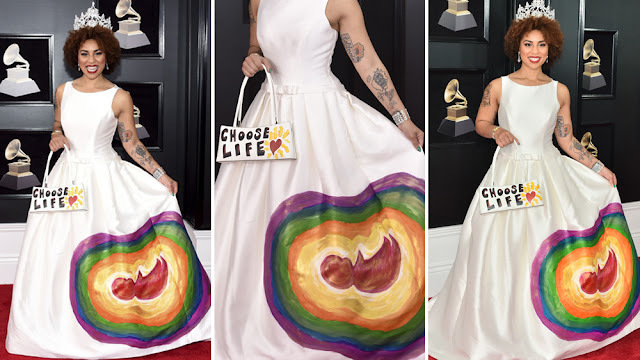 This year, she nailed it again, embarrassing the leftists, and likely shocking them, by daring to wear a pro-life dress. Well, they called it an Anti-Abortion dress, but we won't quibble over the liberal's inability to recognize murder ... or should we say "sacrifice" of innocent blood to a god other than the one and true God. The rising star in the music industry, Joy Villa, was smiling from ear to ear (as she did last year in her MAGA dress) as she stepped out on the Grammy red carpet in her wedding gown. Her dress was painted with a rainbow adorned baby in the womb and the words “choose life” on her purse. Villa is also a Fox News contributor, and she posted on Twitter that she hand painted the wedding dress picked from the Bridal Garden, a non-profit with all proceeds going to Brooklyn Charter, a Bedford-Stuyvesant charity. The Grammys rehearsals gave us a preview, filled with words of war once again against President Trump and the pro-American ideals he stands for. 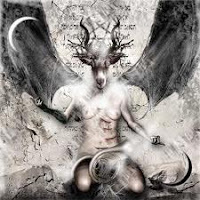 I was just surprised there were no images of goat heads and ritualistic Satanism, witchcraft and Paganism, as there has been in the past. I suppose they have been two distracted by Trump to give Lucifer his due. 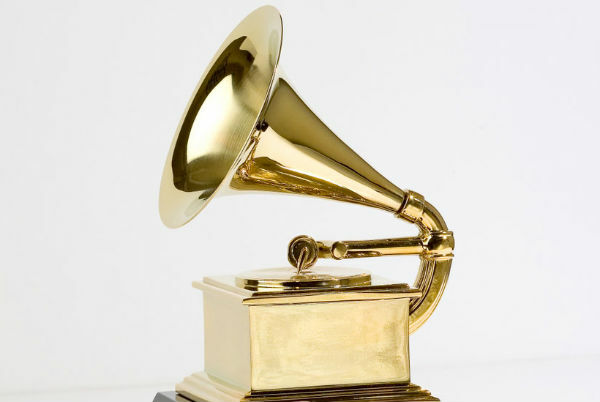 New York City hasn't had the Grammys for fifteen years, but tonight they've got it back. So far the only good part has been a commercial for Clint Eastwood's new movie, 15:17 To Paris - of which the leftists have been fighting to stop; and Little Big Town's country performance of Better Man. I probably won't be able to stomach the show for much longer, though. . . we'll see. That said, in reference to Joy Villa and Clint Eastwood, like Trump, conservatives are beginning to win in the entertainment industry, too! That's one of the things I love about President Donald J. Trump; he's given us hope and the kind of change we've really been needing; and conservative America is responding wonderfully. I was skeptical of Donald Trump when he first emerged on the political scene during the 2016 Election Season. My wife, an immigrant from Mexico who naturalized in 2007 was a fan of Mr. Trump right out the gate, the moment he said the word, "Wall." She was brought to the United States when she was a baby. Her parents spent many years saving up their money to make the move. When asked about illegal aliens, my wife says, "It's a slap in my dad's face. My dad didn't bring us here to be Mexicans. He brought us here to be Americans. My dad followed the law and the rules, and those rules are there because it weeds out those who really don't want to truly be Americans, and those who pose a danger to the United States." She had been talking about a wall long before Trump did. Hers, however, was a little more practical, and a little more fierce. She wanted gun turrets, broken glass and inverted nails at the top, and a mote with alligators. The mote, however, would also provide the dirt needed in New Orleans to shore up their levies, and the 'gators would come from Florida. "Everyone's happy," she commented, when I asked her about it. 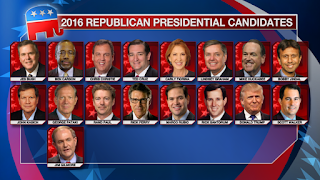 For me, of the original seventeen Republican candidates, Trump ranked number fifteen ... ahead of Chris Christie and Kasich, and one spot behind Jeb Bush. I liked Scott Walker, early on. Once the Wisconsin Governor stepped out of the race, I had no candidate. 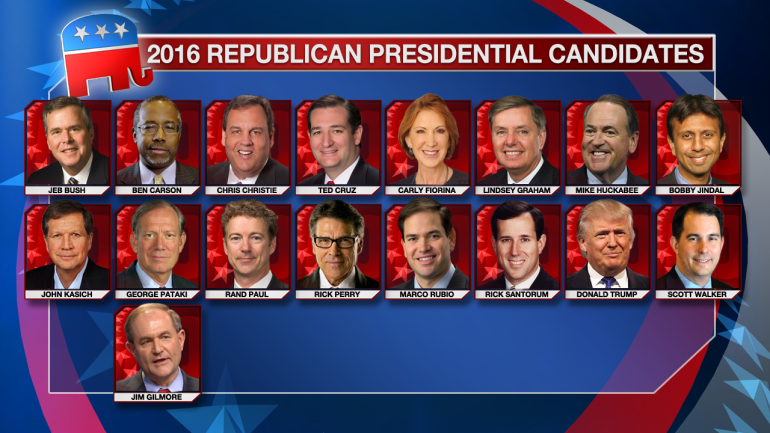 I like Ted Cruz as a Senator, but I was not sure he was presidential material ... and besides, he's not eligible. Natural Born Citizenship, from an original intent point of view, requires both parents to be citizens at the time of birth. Cruz's father was still a citizen of Cuba, and while everyone says his mom was American, I believe she was Canadian at that time. That said, I would have voted for Cruz had he won the nomination. For the first time in my life I would have voted against the Constitution to save the Constitution. 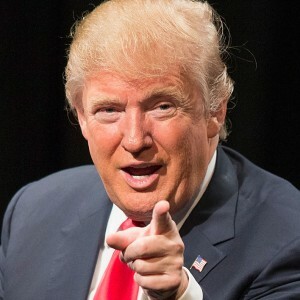 Donald J. Trump rose to the top, and faced with the reality that despite my reservations about the man, he's not Hillary Clinton, I decided I would support him. I lost friends and contact with family members over my decision. When my co-host and co-writer on Political Pistachio, JASmius, kept writing what I considered to be hit pieces against Trump, I asked him to either lighten up or take his services elsewhere. In truth, a lot of people thought it was me writing these pieces, and it was ultimately hurting the bottom line. He departed, believing I was putting money over friendship and my values. Interestingly enough, after a year of Trump in office, I think he has more than proven that he's not the Democrat the Never-Trump Conservatives believe him to be; but folks like my friend JASmius remain in the Never-Trump camp. "He's not constitutional," JASmius has explained to me. He believes he's a one-man ruling machine, is the attitude I get from folks like JASmius. A friend of mine who is a pastor in San Diego County is in my camp, but his wife isn't. She said to me last week, "We have a president who does not understand the Constitution." I am not sure the accuser understands the Constitution, either. I tell people that I firmly believe that Trump was not conservative, nor very Christian, going into this whole thing. However, the madness of the liberal left as they ran around in circles with their hair on fire and blood squirting out of their eyes literally threw him into our arms. Trump knew who his friends were, and I believe he was evolving as a human being in the sense that after a lifetime of being a businessman, not really caring about the politics of the people willing to put money in his pocket, he recognized a number of truths ... about economics, and about social issues like abortion, and transgenderism. 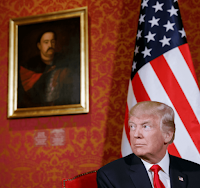 As a result, Trump embraced his new-found conservatism, and surrounded himself with conservatives, and Christians - a practice that has largely continued in his administration. Trump is what the Tea Party had been fighting for. Like Mr. Trump, politics was not a big deal to most Tea Party folk until Barack Obama won in 2008. The threat against the Constitution, and our American System, was obvious when it came to the Democrat Party's great messiah. I can't count how many Tea Party members who've told me they weren't into politics until the rise of Obama. 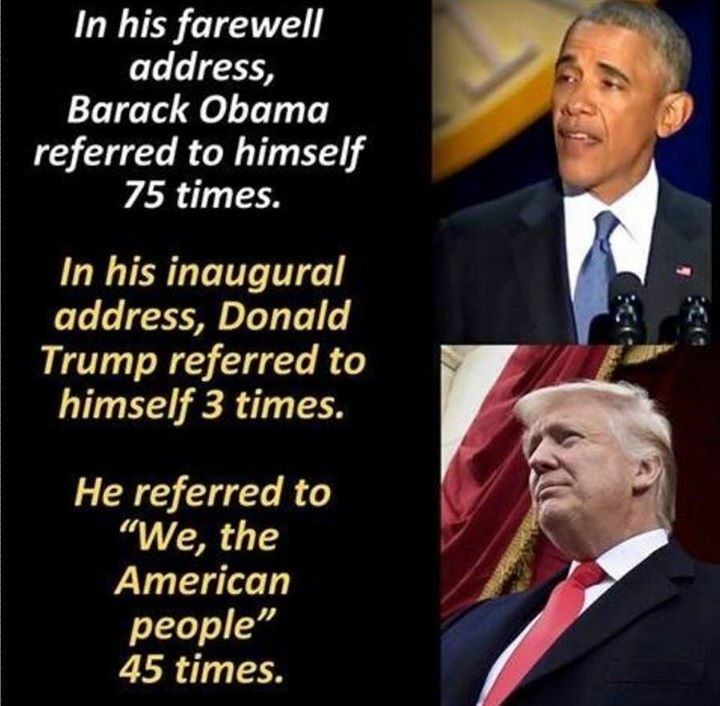 Trump was the same. He tolerated Democrats, and even worked with them freely in business. At points of his life he even agreed with leftists on a number of issues. He had bought into some of their propaganda, such as the claim "it's not a baby, it's a fetus, and who are we to dictate to a woman what she can do with her body?" America's genocide of millions upon millions upon millions of innocent and helpless persons is incomprehensible, yet the liberal left is full throttle forward in their support of the slaughter of babies. During the campaign the Never-Trump conservatives screamed at me, "He's pro-abortion!" when laying out their accusations of the GOP nominee for President. A week ago President Donald J. Trump did something that no other President in history has ever done. He addressed the March for Life marchers live from the White House. If he was pro-abortion, I don't believe he is anymore. Trump's journey has been pretty phenomenal since the day I believed him to be number fifteen on a list of seventeen candidates. He's inspired an economic boom, he's embraced conservatism, and he has the liberal left Democrats frightened out of their minds that he may not only continue his streak of success, but that also they may be exposed for their criminal activities over the last few decades. President Trump is not a part of the establishment. He can't be bought, and he can't be twisted into a knot like most of the Republicans when they try to trifle with the Democrats. Trump left a life of power and money to take a cut in pay and live in the White House (which must be like a Motel 6 to the guy) because he loves his country, and wants to make America great again ... after the Democrats tried to make America just another run-of-the-mill socialist country where everyone is equal ... in misery. Common sense is something you don't see much of, anymore, but Trump seems to have tons of it. He made his rise using his business sense, common sense, and ability to get what he wants, the way he wants it, because he wants it. 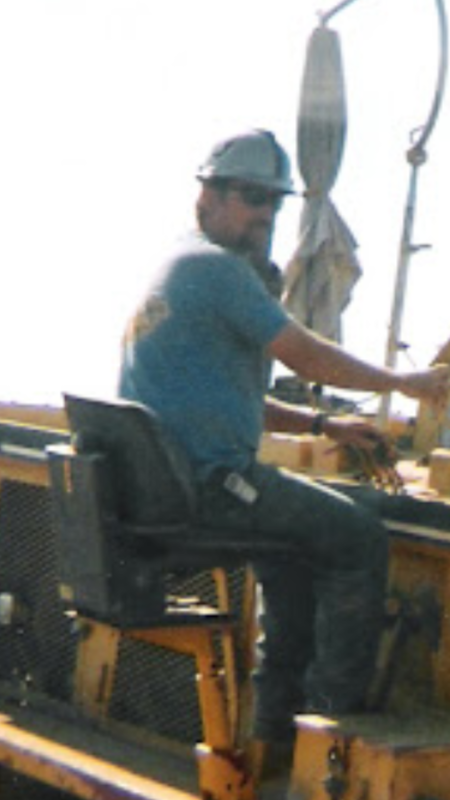 He has spent his life building things, and for myself, who spent twenty years in the construction industry (fourteen years digging foundations for residential homes, and six years delivering materials to job sites as a transfer truck driver) I can easily recognize someone who enjoys building things. Here's the thing about those people ... they get things done, on time, under budget, and beautifully. Trump was just the kind of guy we needed as President of the United States after the eight years of the Obama administration trying to tear down America. 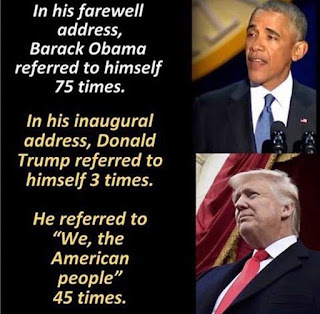 The unraveling of what Obama had done is a slow and painful process, but Trump has the resolve, and the patience, to take apart the eight year error piece by piece, and moment by moment. Is Trump perfect? Of course not. While Never-Trump conservatives can't argue against most of what Trump has done, they are always quick to leap all over what he says, in the hopes of proving that he's the wolf in sheep's clothing they firmly believe him to be. Could you imagine where we would be, right now, if Hillary Clinton would have won on November 8, 2016? She's something much worse than Obama. We wouldn't be seeing economic growth and real recovery, we would be experiencing a downward spiral that always accompanies the failed policies of Keynesian economic madness. I once heard Thomas Sowell say something along the lines that if Democrats truly understood economics, they wouldn't be Democrats anymore. The fury of the liberal left should be evidence enough for the Never-Trump conservatives to realize he's not the great Democrat Trojan Horse, after all. I am thinking the Never-Trump conservatives are sort of like the Democrats in the sense that it's not really what Trump has done that has them so out of their minds. It's what he represents. He understands that being a politician is not supposed to be the warped thing we have. Politicians are not supposed to be members of some kind of untouchable ruling elite. They are public servants. They are people who are supposed to work for us, not make We the People subjects under the iron fist of a ruling aristocracy. Trump is anti-establishment, anti-cultural Marxism, and unapologetic about it. He believes in the principles behind supply and demand, recognizes a connection between morality and liberty, rejects the posh attitudes and hoity-toity tastes of the inside-the-bubble elite, allows his stream of consciousness to escape his lips and fingers (Twitter) without any thought about putting a leash on it, and is an in-your-face, I'm not going to take your crap anymore, ostentatious American who exhibits every frustration most Americans are feeling, and have been feeling, for the last decade. In other words, finally, one of us has made it to the White House. He is a creation of the Tea Party. Trump is the kind of guy that says, "If it's broke, not only fix it, but recreate it so that it works much better, with efficiency, and for less samolians." While the art of the deal involves negotiations, for Trump it also includes a whole lot of pre-work. Trump's political foreplay engages all senses, softens up the opposition, and rejects their inane offerings. He places nuggets of shame against his opposition carefully and strategically, be it in his speeches, or with his Tweets. He bypasses the talking heads of the lying biased media, and says that if the foreign powers want to make life hard on us, no problem, we'll accomplish the task in question ourselves. Trump holds up Americans, uses the word "we" rather than "I" and "me", and reminds us that we are all in this together, as Americans. 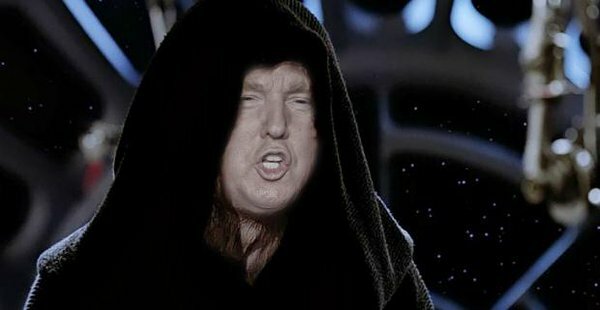 Trump is the anti-Obama, anti-Hillary, and the kind of force the GOP has been searching for. Yet, in a ridiculous tradition of their Stockholm-Syndrome ways, the Republican Party elites are (or at least "were") sickened by Trump. "That's not how we've always done it," I can hear them screaming. Meanwhile, the people of the republic are screaming out, "Exactly!" For the first time since Ronald Reagan, the maladministration of the federal government is being exposed, pulled back, and rolled back. Unconstitutional dabblings by the federal government are being addressed. Trump is working on pulling us away from the idiotic man-made climate change hoax (angering the liberal left worldwide), federal welfare costs are being reduced and people are weening themselves off of food stamps and other programs, he's been using various maneuvers to place the activist judges who legislate from the bench in their place, immigration laws are being enforced (and States and cities with unconstitutional sanctuary status laws which are contrary to constitutional federal immigration laws are being challenged for their violation of the Supremacy Clause in Article VI. of the U.S. Constitution), unreasonable and redundant government spending is facing reductions, and Trump is telling the globalists that frankly he's not interested in their games, anymore - America is roaring back as an independent, sovereign country. While knuckleheads like John McCain has blurred the lines between the two parties, Donald Trump has reclaimed the Republican Party for conservatism, liberty, and a virtuous society. 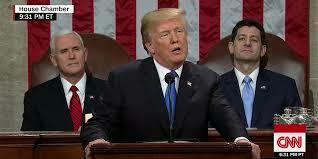 Despite the hesitancy of the Republican Congress, President Trump has encouraged the use and extraction of domestic resources by slashing the government obstacles standing in the way of domestic energy development, reformed of our tax system including tax cuts for most Americans and for businesses which will fuel economic growth and bolster domestic entrepreneurship, and he has the leftist media on the run. While I will never say that Trump is Reagan reincarnated, he is very Reaganesque. He's politically incorrect, blunt, honest, cunning, verbally strategic, full of conservative energy, and cynical of the opposition. 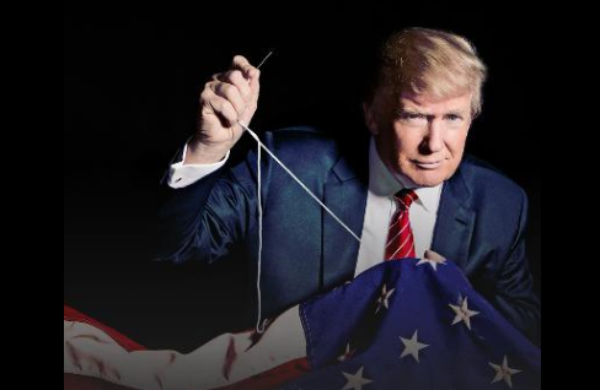 Meanwhile, black support for him has doubled, actions are being taken to protect religious liberties, Common Core is on its deathbed, the economy is growing and ready for a boom (once folks realize there's more in their paycheck thanks to the tax reform law), and despite all of the attacks and fake news, Trump is hanging in there and getting the job done. Trump is bullying America back into prominence, and he's doing it as the attacks by the left increase to levels that no other Republican would have been able to withstand. The real unraveling of the Obama era, however, is happening in the legal trenches. 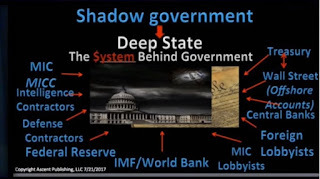 Obama weaponized federal agencies, and a deep state was nurtured to the point that it was becoming a greater leviathan than ever before. 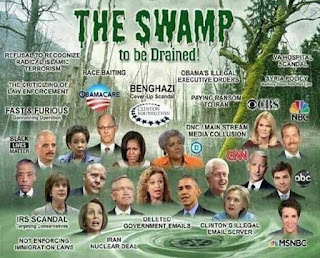 Yet, thanks to the Trump Team's resolve, and strategic peeling back of the leftist onion of crime and corruption, a number of Democrat crooks are under the federal radar. 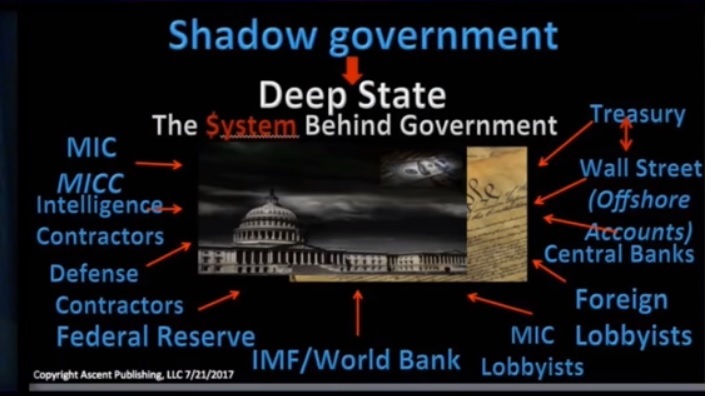 Trump is undoing the secret societies and exposing the sins of Obama's secret network, the Clintons, and all of their accomplices one by one, and point by point. We have reclaimed our necessary friendship with Israel, as the Democrats scheme with dictators who wish to bring down the United States. The Trump administration is addressing true domestic terrorism, as the liberal left does what it can to fuel the chaos by groups like Antifa. Big business is returning to American Shores as the Democrats continue to swear up and down it is somehow an afterglow of Obama's policies. Jobless claims are at the lowest point since 1973, after reaching record highs during the Obama presidency (despite the Obama administration cooking the books). ISIS is on the run, and Trump's work to try to correct Obama's long list or mistakes with Russia is coming together nicely. The Rule of Law has not only returned to America, but it is being applied to foreign policy, and the bad actors are not sure what to do next. In one short year President Trump has turned the great ship America into a u-turn, despite opposition, despite 90% of all media coverage going against him, and despite the hesitancy of the Republicans in Congress. In short, I'm not worried about 2018, or 2020. People will vote with their overflowing wallets, and in response to the good news that even the fake news networks will be unable to continue to deny. In fact, I am expecting an incredible landslide victory for Trump in 2020 ... if idiots like Soros doesn't do something really unimaginable in the meantime.